The campaign to save the Brighton Speed trials was won on 23 January 2014 following a unanimous ‘yes’ vote by the Economic Development and Culture Committee at Brighton and Hove Council. This complete turnaround following the Council’s initial refusal was thanks to the overwhelming support we received from Brighton and Hove Motor Club members, motorsport fans, Brighton residents as well as the media. 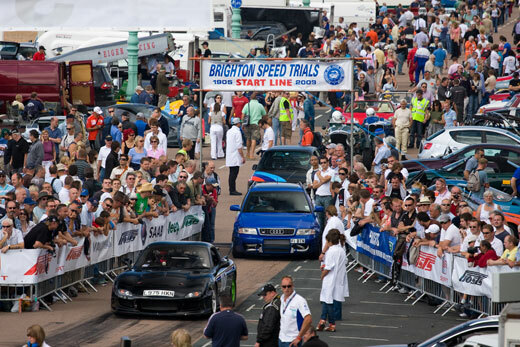 In just one month the Save the Brighton Speed Trials campaign generated over 12,400 names on a petition, over 7,000 likes on the campaign’s FaceBook page, hundreds of online forum discussions as well as dozens of articles in the local and national press, on TV and radio. Among the supporters were Sir Stirling Moss, local Brighton bestselling author Peter James, Tiff Needell of Fifth Gear, Nick Mason of Pink Floyd and Top Gear’s The Stig.